Silence a creature, then give it +2/+0. 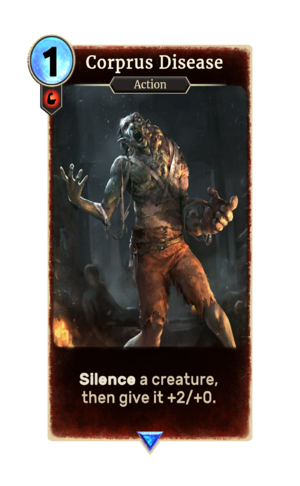 Corprus Disease is a rare Strength action card. It is part of the Houses of Morrowind expansion. This card applies the Corprus card effect.